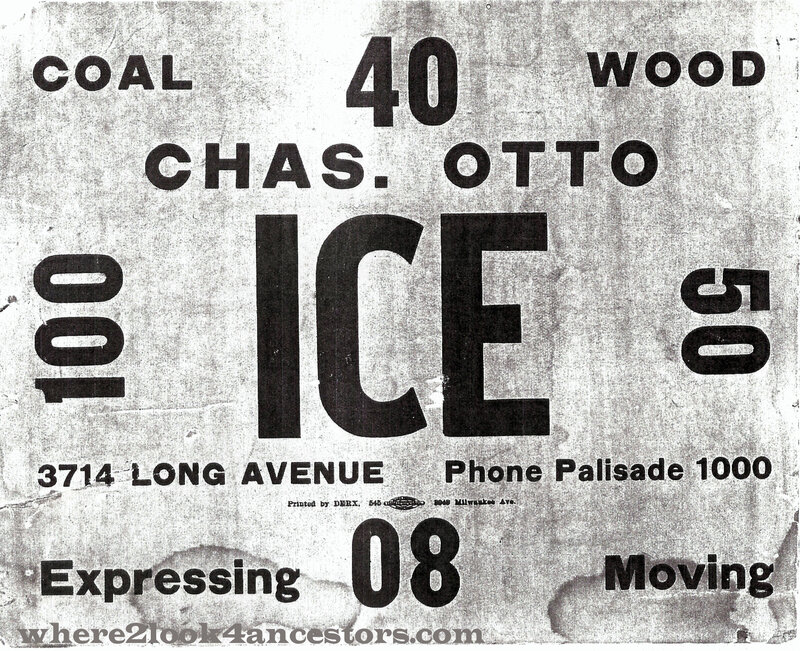 There’s a picture of a horse-drawn ice wagon on the Brooklyn Historical Society Blog today. It’s their Photo of the Week post which goes on to explain how ice was harvested from frozen ponds and delivered to individual businesses and home. Interesting information about the day-to-day lives of our ancestors. It was particularly interesting to me because my great-grandmother’s second husband Charles Otto drove such a wagon in Chicago. The image above is a copy of the sign people would put in their windows if they wanted a delivery. They would turn the sign this way or that to show the quantity of ice they would like on that particular day. Really makes me appreciate the everyday convenience of my refrigerator.